Driving Culture Change in Healthcare Organizations – Or Is It Driving You? No one understands the continuous turmoil of healthcare services better than those who work within the industry. Reimbursement declines, ever-increasing focus on quality, and a steady march toward population health/active consumer participation in health management, healthcare leaders are recognizing the need for culture changes within their organizations. How Does Culture Change Start? Culture change begins with the basic realization of a need for change. It is important that leadership sets the expectation that meaningful change is not a mere “exercise” with defined timelines and checkboxes for completed tasks. Before leaders can stimulate people to adopt change they must first deal with “reality versus perception” within their organization. This is routinely achieved through the administration of employee engagement surveys which can uncover gaps and dissatisfaction. Often, unexpected results in these surveys initiates the journey of cultural change. 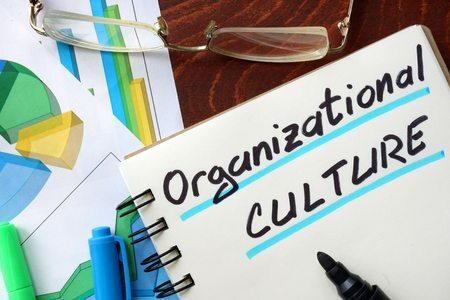 While achieving cultural change will be an ongoing and evolving journey, the process of moving an organization toward new goals should be carefully planned and communicated. Teams who don’t understand the need or are confused about the impact on their jobs will not move forward effectively. Recognition that culture change will be a journey that involves everyone in the organization; a ‘one for all and all for one’ mentality. Develop a solid communication plan to provide regular updates and results. Maintain a consistent operating calendar that makes focus on change a priority. Leaders should invest time in explaining why the organization is making the change. Establishing a clear rationale that is understood by the entire team is paramount. Define a clear vision for what the change will look like when completed. What will be the result? This will help form an understanding of what “success” will accomplish. Lay out a roadmap for change. Everyone should understand how the changes will roll out through the organization. What/who comes first? This helps allay fears of “big bang” or that the pace of change has not been considered. Clearly define and communicate roles and responsibilities for each team member. Create an atmosphere of trust and empower individuals to make decisions and grow towards the new set of parameters in the workplace. Leadership should be willing to expose their weaknesses and admit mistakes during the change transition. Mistakes are not failures but an opportunity to learn by all. Measure, measure, measure. Put systems in place to link organizational goals to both team and individual performance. Track performance against goals routinely and realign when necessary. Lastly, leadership must demonstrate clear commitment to the change effort. Champion the initiative to change and never waver in support of other’s efforts. Do not avoid tough discussions. Tackle head-on the dysfunctional behaviors that sabotage change efforts. Always make sure employees’ contributions support the overall success of both the organization and the change initiative. Today’s healthcare environment faces many challenges as leaders seek to deliver high quality and cost-effective care for our patients. These issues are best met by an organization that feels empowered to change their work environment to best serve the needs of their patients. Staff needs to trust they can propose and implement effective solutions to problems they face every day, and also be led by visionary healthcare leaders. Working together, teams that are dedicated to transforming organizational culture and care delivery for the future will grow in their success.